The traditional East Asian calendars divide a year into 24 solar terms. Gǔyǔ, Kokuu, Gogu, or Cốc vũ is the 6th solar term. It begins when the Sun reaches the celestial longitude of 30° and ends when it reaches the longitude of 45°. It more often refers in particular to the day when the Sun is exactly at the celestial longitude of 30°. As the last term in spring, in the Gregorian calendar, it usually begins around April 20 and ends around May 5. According to the saying, “Qingming ceases snow, grain rain ceases frost.” When this term arrives, cold weather finally ends, and the temperatures start to rise. Grain Rain originates from the old saying, “Rain brings up the growth of hundreds of grains,” which shows that this period of rainfall is extremely important for the growth of crops. The Grain Rain signals the end of cold weather and a rapid rise in temperature. Here are five things that you may not know about the Grain Rain. Grain Rain brings a marked increase in temperature and rainfall and the grains grow faster and stronger. It’s a key time to protect the crops from insect pests. Grain Rain falls between the end of spring and the beginning of summer, with infrequent cold air moving to the southand lingering cold air in the north. From the end of April to the beginning of May, the temperature rises much higher than it does in March. With dry soil, an unsteady atmosphere and heavy winds, gales and sandstorms become more frequent. There is an old custom in southern China that people drink tea on the day of Grain Rain. Spring tea during Grain Rain is rich in vitamins and amino acids, which can help to remove heat from the body and is good for the eyes. It is also said that drinking tea on this day would prevent bad luck. People in northern China have the tradition to eat the vegetable toona sinensis during Grain Rain. An old Chinese saying goes “toona sinensis before the rain is as tender as silk”. The vegetable is nutritious and can help to stengthen the immunie system. It is also good for the stomach and skin. The Grain Rain festival is celebrated by fishing villages in the coastal areas of northern China. Grain Rain marks the start of the fishermen’s first voyage of the year. The custom dates back more than 2,000 years ago, when people believed they owed a good harvest to the gods, who protected them from the stormy seas. People would worship the sea and stage sacrifice rites on the Grain Rain festival, praying for a bountiful harvest and a safe voyagel for their loved ones. Grain Rain originally marked the time when the early crops showed their shoots. In early spring the green of new rice shoots is a brilliant color and very beautiful. My most brilliant green is probably the leaves on the lilac bushes. The lawn is still sketchy, except of course for the crabgrass, which is not only a healthy dark green but a good four to six inches higher than the rest. I am slowly winning the war against the crabgrass. I have no issue with crabgrass personally. However, the lawn Nazi down at city hall, whose career consists of monitoring lawn heights, will deliver a nastygram if I fail to maintain my lawn to standards only otherwise found on Marine Corps haircuts. So rather than be an obedient zombie and spend a third of my life repeatedly mowing, the crabgrass is slowly being dug out so I mow less often. 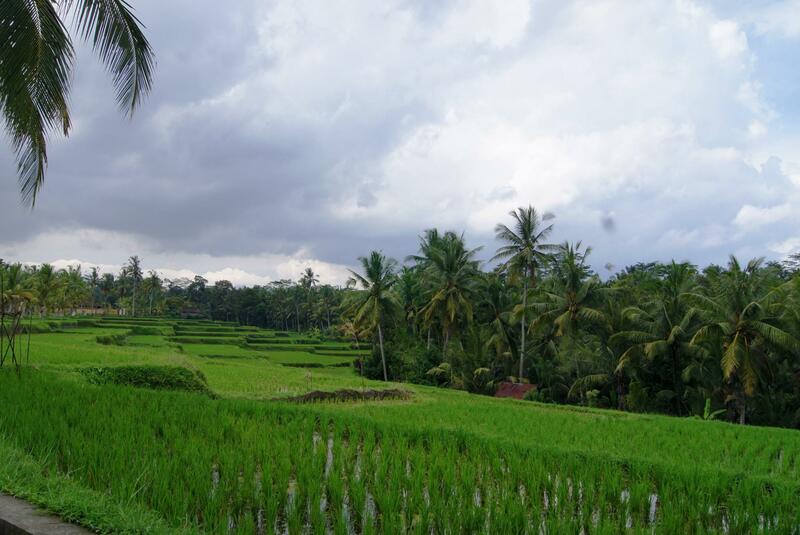 Rice paddies are still more work but I think I would rather have them than useless lawn. I eat a lot of rice and land is too precious to be wasted. At least we have been getting a decent spring rain. Best of all, it’s a day or so at a time with sunny days in between and the humidity is kept low. The window of comfortable weather here is small and the cats and I are enjoying it. 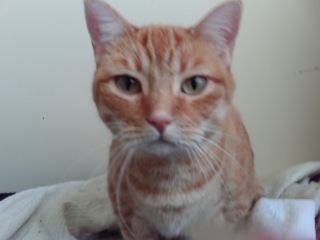 The allergic symptoms that Simba, Dolly and Mi Sun were all having have disappeared. I am sure the winter dampness was producing mold down in the scary, Stephen King movie crawlspace and it was getting in the duct work. In this solar term, gǔ yǔ, the pentads first, 萍始生, ‘Duckweed begins to sprout.’ You might wonder why this would be something significant enough to mention but duckweed is quite a useful and remarkable plant in spite of it’s humble structure and appearance. As it’s name implies, it is a valuable food for waterfowl, for one thing. 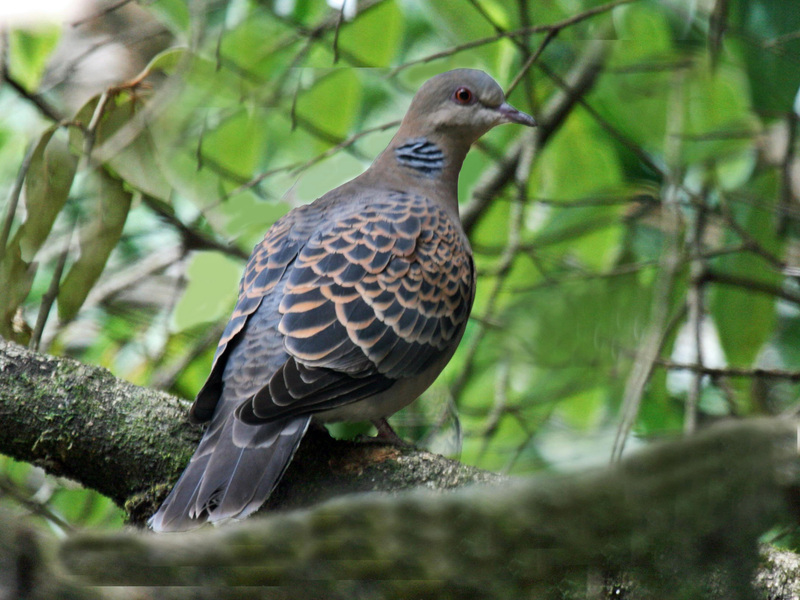 The second pentad is 鳴鳩拂其羽, ‘The turtle dove brushes off it’s feathers.’ I found this translated in a way that made no sense, so I did my own translation. I think the original translator could not identify what was brushing what as I has a bit of trouble finding the the proper name of the bird. In the Japanese naming of the pentads the phrase is 霜止出苗?, ‘Frost ends, rice seedlings begin to grow, but even here I had to tweak the translation. The last pentad is for the Chinese 戴勝降于桑, ‘Cuckoo perches in mulberry trees’. There are no cuckoos or mulberry trees in my yard., although I would welcome them both. For me, once again the Japanese version applies much better 牡丹華? ), ‘Peony blooms’. I do have peonies and I can see the buds forming now. It will only be a few days util the hu?ge pink blooms brighten my front garden beds and my life. Simba is no longer with us for this rain Rain. Wherever you are little girl, now do you see why I wanted pictures? I miss her so much. Taurus (Latin for “the Bull“) is one of the constellations of the zodiac, which means it is crossed by the plane of the ecliptic. Taurus is a large and prominent constellation in the northern hemisphere‘s winter sky. It is one of the oldest constellations, dating back to at least the Early Bronze Age when it marked the location of the Sun during the spring equinox. Its importance to the agricultural calendar influenced various bull figures in the mythologies of Ancient Sumer, Akkad, Assyria, Babylon, Egypt, Greece, and Rome. The identification of the constellation of Taurus with a bull is very old, certainly dating to the Chalcolithic, and perhaps even to the Upper Paleolithic. Michael Rappenglück of the University of Munich believes that Taurus is represented in a cave painting at the Hall of the Bulls in the caves at Lascaux (dated to roughly 15,000 BC), which he believes is accompanied by a depiction of the Pleiades. The name “seven sisters” has been used for the Pleiades in the languages of many cultures, including indigenous groups of Australia, North America and Siberia. This suggests that the name may have a common ancient origin. Taurus marked the point of vernal (spring) equinox in the Chalcolithic and the Early Bronze Age, from about 4000 BC to 1700 BC, after which it moved into the neighboring constellation Aries. The Pleiades were closest to the Sun at vernal equinox around the 23rd century BC. In Babylonian astronomy, the constellation was listed in the MUL.APIN as GU4.AN.NA, “The Bull of Heaven“. As this constellation marked the vernal equinox, it was also the first constellation in the Babylonian zodiac and they described it as “The Bull in Front”. The Akkadian name was Alu. In the Old Babylonian Epic of Gilgamesh, the goddess Ishtar sends Taurus, the Bull of Heaven, to kill Gilgamesh for spurning her advances. Enkidu tears off the bull’s hind part and hurls the quarters into the sky where they become the stars we know as Ursa Major and Ursa Minor. Some locate Gilgamesh as the neighboring constellation of Orion, facing Taurus as if in combat, while others identify him with the sun whose rising on the equinox vanquishes the constellation. In early Mesopotamian art, the Bull of Heaven was closely associated with Inanna, the Sumerian goddess of sexual love, fertility, and warfare. One of the oldest depictions shows the bull standing before the goddess’ standard; since it has 3 stars depicted on its back (the cuneiform sign for “star-constellation”), there is good reason to regard this as the constellation later known as Taurus. The same iconic representation of the Heavenly Bull was depicted in the Dendera zodiac, an Egyptian bas-relief carving in a ceiling that depicted the celestial hemisphere using a planisphere. In these ancient cultures, the orientation of the horns was portrayed as upward or backward. This differed from the later Greek depiction where the horns pointed forward. To the Egyptians, the constellation Taurus was a sacred bull that was associated with the renewal of life in spring. When the spring equinox entered Taurus, the constellation would become covered by the Sun in the western sky as spring began. This “sacrifice” led to the renewal of the land. To the early Hebrews, Taurus was the first constellation in their zodiac and consequently it was represented by the first letter in their alphabet, Aleph. In Buddhism, legends hold that Gautama Buddha was born when the Full Moon was in Vaisakha, or Taurus. Buddha’s birthday is celebrated with the Wesak Festival, or Vesākha, which occurs on the first or second Full Moon when the Sun is in Taurus. As of 2008, the Sun appears in the constellation Taurus from May 13 to June 21. In tropical astrology, the Sun is considered to be in the sign Taurus from April 20 to May 20. So many misconceptions arise from poor translations. With feng shui the misconceptions go way past the translation of the Chinese characters. The oldest examples of instruments used for feng shui are liuren astrolabes, also known as shi. These consist of alacquered, two-sided board with astronomical sightlines. The earliest examples of liuren astrolabes have been unearthed from tombs that date between 278 BC and 209 BC. Along with divination for Da Liu Ren the boards were commonly used to chart the motion of Taiyi through the nine palaces. The markings on a liuren/shi and the first magnetic compasses are virtually identical. The goal of feng shui as practiced today is to situate the human-built environment on spots with good qi. The “perfect spot” is a location and an axis in time. Qi（氣）(pronounced “chee” in English) is a movable positive or negative life force which plays an essential role in feng shui. In feng shui as in Chinese martial arts, it refers to ‘energy’, in the sense of ‘life force’ or élan vital. A traditional explanation of qi as it relates to feng shui would include the orientation of a structure, its age, and its interaction with the surrounding environment, including the local microclimates, the slope of the land, vegetation, and soil quality. The Book of Burial says that burial takes advantage of “vital qi“. Wu Yuanyin (Qing dynasty) said that vital qi was “congealed qi“, which is the state of qi that engenders life. The goal of feng shui is to take advantage of vital qi by appropriate siting of graves and structures.Some people destroyed graveyards of their enemies to weaken their qi. One use for a loupan is to detect the flow of qi. Magnetic compasses reflect local geomagnetismwhich includes geomagnetically induced currents caused by space weather. Professor Max Knoll suggested in a 1951 lecture that qi is a form of solar radiation. As space weather changes over time, and the quality of qirises and falls over time, feng shui with a compass might be considered a form of divination that assesses the quality of the local environment—including the effects of space weather. Often people with good karma live in land with good qi. 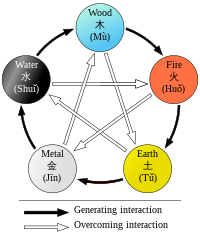 The Five Phases (wu xing) – which, according to the Chinese, are metal, earth, fire, water, and wood – are first mentioned in Chinese literature in a chapter of the classic Book of History. They play a very important part in Chinese thought: ‘elements’ meaning generally not so much the actual substances as the forces essential to human life. Earth is a buffer, or an equilibrium achieved when the polarities cancel each other.While the goal of Chinese medicine is to balance yin and yang in the body, the goal of feng shui has been described as aligning a city, site, building, or object with yin-yang force fields. Two diagrams known as bagua (or pa kua) loom large in feng shui, and both predate their mentions in the Yijing(or I Ching). The Lo (River) Chart (Luoshu) was developed first, and is sometimes associated withLater Heaven arrangement of the bagua. This and the Yellow River Chart (Hetu, sometimes associated with theEarlier Heaven bagua) are linked to astronomical events of the sixth millennium BC, and with the Turtle Calendar from the time of Yao. The Turtle Calendar of Yao (found in the Yaodian section of the Shangshu or Book of Documents) dates to 2300 BC, plus or minus 250 years. The diagrams are also linked with the sifang (four directions) method of divination used during the Shang dynasty. The sifang is much older, however. It was used at Niuheliang, and figured large in Hongshan culture‘s astronomy. And it is this area of China that is linked to Huangdi, the Yellow Emperor, who allegedly invented the south-pointing spoon (see compass). Apologies for those drafts of possible future posts showing up. Not been a good week and some things got overlooked. My Dad is sick (he’s 91) and my carpenter and I found even more leak damage and truly inept repairs under the bathroom floor when we started work on it. PetSmart called the rescue head reporting a cat in respiratory distress. She was at work so called me to rush the cat to the vet. I found a completely normal cat but went to the vet anyway. The vet and I were in total agreement. At least the weather’s been good. On the fifth we will pass into the period of of Clear and Bright, the seventh of the solar terms. It is clear and bright (when it’s not raining), and the weather becomes noticeably warmer. A misnomer, particularly in southern China, but perhaps more accurate for where I am now in central Virginia. We are getting warmer, the furnace only rarely kicks on in early morning and buds are forming on my lilac bush. Traditionally, the arrival of Qingming signals the end of the “three periods of waiting”. These are waiting for the tung flower to blossom, waiting for the field mouse to go back to the caves, and waiting for the rainbows to show up in the sky. The reason Clear and Bright is a misnomer is that it is actually marked by frequent rain, especially in south China. 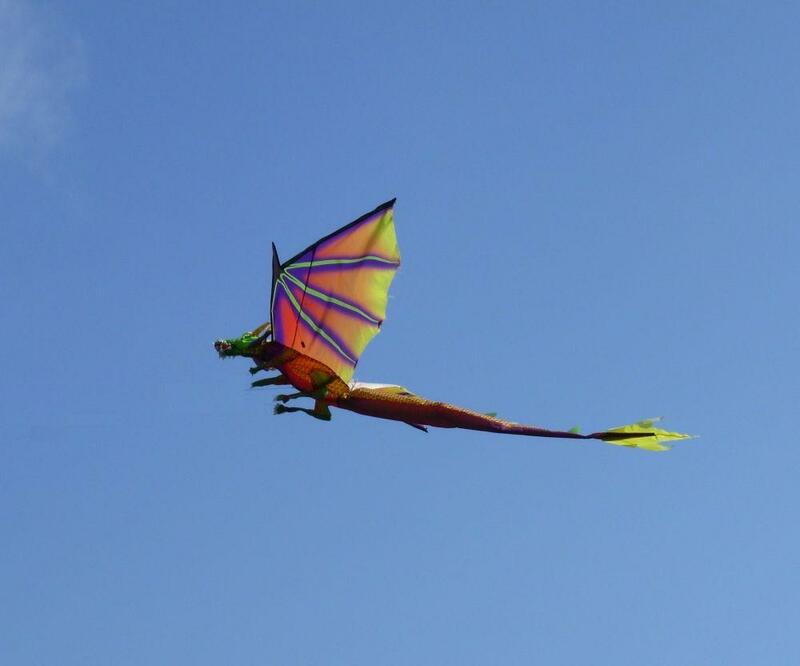 Outdoor activities that begin at this time are picnics, flying kites and playing cuju, an ancient football game. Due to the rain Qingming is also a traditional time to plant trees. The first day of Clear and Bright is also a traditional Chinese festival know as Tomb Sweeping Day. It is held on the first day of the fifth solar term and the 15th day after the Vernal Equinox. It is a major holiday in China beginning two days before the actual day of the 4th on which the Shanghai stock exchange closes. The extent of the holiday is shown in some numbers from the Ministry of Civil Affairs. On the Sunday 5.3 million Chinese visited 150 major cemeteries to honor their deceased relatives. The number of people visiting burial sites across the nation increased by 34.2 percent year on year. The cemeteries had to deploy 33,000 service staff, 76.6 percent more than a year earlier, to keep things orderly and handle the traffic, since they were dealing with 899,000 vehicles, also up 43.5 percent. Chinese traditionally buried their dead and it is thought even cremation ashes should be buried underground in urns. Fancy tombs are often built to show filial piety, but as the Chinese population has grown the areas that tombs and cemeteries take up is becoming an issue. Qingming merged with an earlier holiday, the Hanshi festival, and took on it’s activities and customs, including lighting no fire on that day. Like any Chinese festival, commemoration or celebration, food is a big element. Cooked food is placed in front of the tidied up grave. 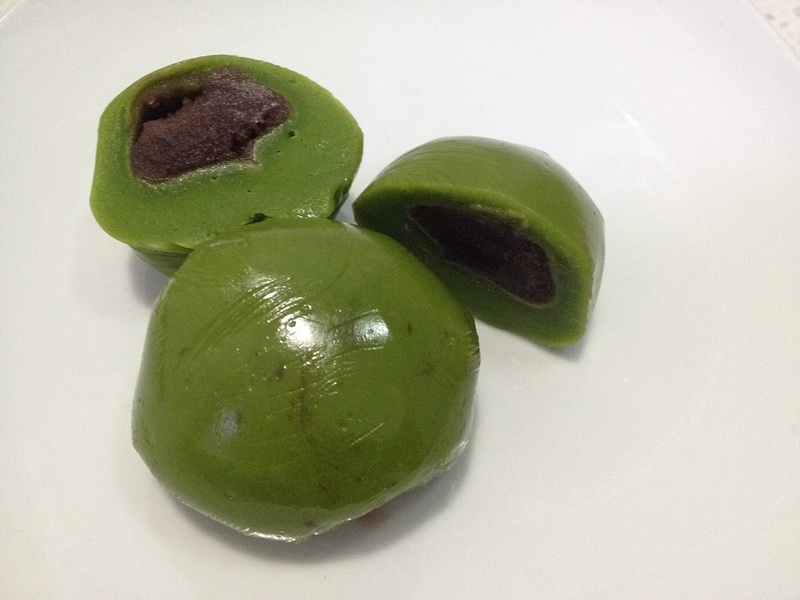 Popular foods are Qingtuan, green rice balls, sanzi, fried dough twists and cooked eggs. The grave foods are often the favorite foods of the deceased and some families offer cigarettes and drinks like wine. Don’t think the food is wasted and left to rot, Chinese are practical people. After appropriate communion with and prayer for the ancestor the food is consumed by the family as a gesture of sharing. Also, some color the cooked eggs and share them as gifts, somewhat like Easter eggs. Another aspect of tomb offerings is the burning of joss sticks, a kind of incense, paper money and ingots and other paper versions of items you would like them to have in the afterlife. These extras can include large replica buildings and “gift boxes” fully as high as a person. You can take a look here at this Chinese learning website at some of the amazing things to burn for Qingming. If it seems a bit crazy, consider all this was suppressed by the Communists for many years and Qingming was only resurrected as a holiday in 2008 in mainland China and see how the custom bounced back bigger than ever. Qingming is celebrated in a lot of overseas Chinese communities and a temple in Singapore instituted a ban on the “gift boxes” due to the amount of smoke and ash generated. The Kong Meng San Phor Kark See Monastery in Bright Hill Road, the largest Mahayana Buddhist temple in Singapore, said the cardboard of the large boxes was the problem but while smaller items are still allowed it may in future extend the ban. A Taiwanese newspaper editorial advocated a ban on the practice for environmental reasons. 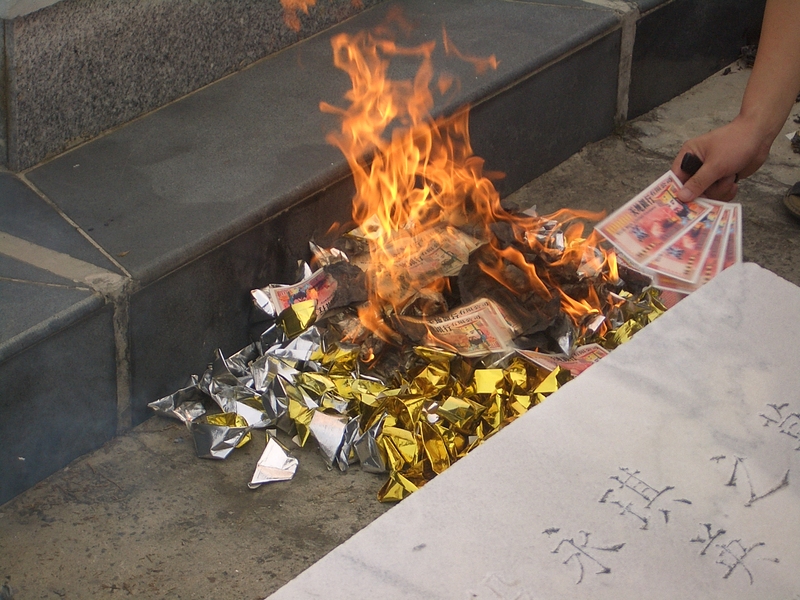 The Chinese indutrial city of Harbin not only banned the burning outright, but also the manufacture and sale of the burning money, often known as “hell money”, to help curb air pollution. When you consider the population of China, this is not as trivial as it seems. It is not just the practice of burning offerings that is under pressure. Full body burial is being replaced by cremation. Throughout Chinese history it has been believed that the ancestors must be kept happy in the afterlife so they will aid the family in maintaining fortune and prosperity. Feng shui, now reduced to glorified house cleaning, was once the serious art of placing the graves in the proper location to ensure this. This luxury is becoming increasingly unavailable for most Chinese. The coastal cities of China are even promoting burial at sea, offering subsidies and free burials. With roughly 9 million people to bury every year, space for cemeteries is limited. Perhaps this new custom will also alleviate some of the terrible traffic associated with the holiday. The world changes and the Chinese are finding ways to adapt and re-purpose older traditions. In the end this is the best way to keep them alive. The theme for World Health Day in 2017 is Depression: let’s talk. The World Health Awareness Day’s campaign this year is touted to focus on getting more people across the world dealing with depression to come forward and seek help. According to the Centers for Disease Control 31% of Americans have high blood pressure. High blood pressure costs the nation $47.5 billion annually in direct medical expenses and $3.5 billion each year in lost productivity. According to the American Diabetes Association, 2011 data showed 25.8 million children and adults with diabetes. This is 8.3% of the US population. According to the World Health Organization, 58% of deaths in children under age five are caused by infectious diseases with Pneumonia the largest cause of those deaths. Good health adds life to years – World Health Organization (WHO) 2012 slogan. Reduce salt and alcohol consumption. Alcohol consumption in large amounts has been associated with an increase in heart diseases, brain damage, cancers and liver diseases. Salt consumption in large amounts has been associated with heart diseases, decreased brain functions and kidney problems. Book an appointment for your annual check up. Lailatul Barat (Arabic: شب برات) commemorates a night that Muslims believe God descends from heaven and forgives sins very generously. For that reason, Muslims spend the night in prayer, and fast the next day. Lailatul Barat occurs in the middle of the month of Sha’ban, the month before Ramadan. It is considered one of the holiest nights on the Islamic Calendar. The night begins at sundown on the 14th and ends at dawn on the 15th of Sha’ban. Muslims are recommended to fast at least six days of this month. Often, women who missed fasts because of menstruation in Ramadan make them up in this month. According to Islamic tradition, the Prophet Muhammad fasted more in Sha’ban than any other month. The Israelites were servants from the days of Jacob until Moses. They lived through famine in most of Mesopotamia, including Israel. The Israelites built store cities for grain in Egypt (possibly, the pyramids). After 210 years of servitude in Egypt, the Israelites had become ‘servant-minded’ and did not believe that they could flee. They fled via the Wilderness of Sinai, where they resided for forty years. Traditionally, for Seder a plate is prepared containing the following: an egg – symbolizing the Chaggigah sacrifice; a shankbone, symbolizing Passover Lamb; salt water, symbolizing the tears of the Israelite slaves; a bitter herb, symbolizing the bitterness of enslavement; charoset (a mixture of ground apple, cinnamon, wine and sugar) signifying the cement used in the building works; a vegetable to be dipped in the salt water. Earth Day seeks to highlight and promote efforts dedicated to the protection of the environment. As we enter the 21st century, we face many environmental crises, including global warming, deforestation, endangered wildlife, shortages of potable water and widespread pollution, all which negatively affect our planet’s resources and can have adverse effects on our long-term lifestyle and health. In 1970, a US Senator named Gaylord Nelson was inspired to bring about mass public awareness of environment problems. He heavily promoted the day across the nation in an effort to gather the largest amount of public support possible and ultimately, in the hopes of elevating environmental protection onto the national political agenda. This day in 1970 marked the creation of United States Environmental Protection Agency and the passage of the Clean Air, Clean Water and Endangered Species Acts. Today, Earth Day is celebrated by billions of people around the world and is observed in over 190 countries. Worldwide, Earth Day celebrations utilize educational programs to inform people of ways that can help protect the environment and its natural resources. It is observed annually on April 22nd and is celebrated as International Earth Day. The theme for Earth Day 2018 is End Plastic Pollution. During the 2015 UN Conference in Paris, France, participating nations concurred on the need for action to reduce greenhouse gas emissions. The countries cooperatively pledged to keep global temperature rise below 2C (3.6F). In celebration of Earth Day 2016 on April 22nd, the landmark agreement that testifies to this global commitment was signed at the UN Headquarters in New York by 175 participating nations.The history of Earth Day 2017 dates back to 1970 when it was first celebrated in 1970. It was founded by Senator Gaylord Nelson to promote ecology and the respect for life on the planet as well as to encourage awareness of the growing problems of air, water and soil pollution. Energy Star rated LED light bulbs use at least 75% less energy, and last 25 times longer, than incandescent lighting. Switching entirely to LED lights over the next two decades could save the U.S. $250 billion in energy costs, reduce electricity consumption for lighting by nearly 50 percent and avoid 1,800 million metric tons of carbon emissions. In 2013, the US emitted 14.7 trillion pounds (14,700,000,000,000lbs) or 6.6 trillion metric tons of carbon dioxide equivalents ‘Greenhouse Gases’. In the past 50 years, humans have consumed more resources than in all previous history. – U.S. EPA, 2009. Sustainable Materials Management: The Road Ahead. Organize a group of volunteers to help clean up and restore a green space. Some suggestions include planting trees and adding waste receptacles. Try to go the whole day without creating any garbage, • Try not to use your car for the entire day. Instead, use public transit, walk or ride your bicycle. Change your traditional incandescent light bulbs to energy saving LED or CFL light bulbs. Watch a documentary or movie that touches on an ecological issue. Our favorites are: An Inconvenient Truth (2006), the Burning Season (1993, 2008), Elemental (2012) and The Day after Tomorrow (2004). The first Arbor Day was celebrated April 10, 1872 in the State of Nebraska. More than 1 million trees were planted in Nebraska as they celebrated the first Arbor Day. A single tree can absorb as much as 48 pounds of carbon dioxide per year and can sequester 1 ton of carbon dioxide by the time it reaches 40 years old. Newspaper editor, Julius Sterling Morton began Arbor Day to help bring attention to the importance of trees. Since the Yellowstone Fires of 1988, the Arbor Day Foundation has partnered with the US Forest Service. Through this partnership, over 25 million Arbor Day Foundation trees have been planted. Visit a nursery and consider buying some plants. Organize a neighborhood beautification project. Hold a paper drive. Use the recycling proceeds to purchase a special tree. Prune any dormant trees and nonflowering shrubs. Plant and transplant bare-root, balled-and-burlapped, and container-grown trees and shrubs. Plant roses just as the buds swell. Continue planting container-grown trees and shrubs. Lightly shear your needled evergreens, being careful not to cut back to bare wood. Prune summer and fall flowering shrubs before they set flower buds. Remove any dead wood as a result of cold or storm damage. Feed roses when green growth is about 2” long. Apply fungicide to get a head start on black spot. Address insects and pests as soon as you spot them. Be on the lookout for aphids – they love tender green shoots. Cut back dead foliage on perennials and ornamental grasses. Be careful not to cut new growth! Plant, divide, and transplant perennials. Gradually remove winter mulch from perennials when they begin to grow. Keep mulch handy in case of a surprise late freeze. Fertilize spring-blooming bulbs (daffodils, hyacinths, etc.) after they bloom. Leave the foliage in place to nourish next year’s blooms. Give tender bulbs a head start by potting them indoors. Plant any tender bulbs outdoors. Continue planting perennials, summer bulbs, groundcovers, and ornamental grasses. Plant gift chrysanthemums, hydrangeas, spring bulbs, and azaleas outdoors. Some gift varieties are not cold-hardy, so check the variety before leaving it out over next winter. Clean and sanitize summer containers, and plan your design for this summer. Start summer annual seeds indoors. Plant summer annuals (petunias, cosmos, marigolds, zinnias, etc.) after the last frost. Be sure to bring them indoors (or cover them with cloth) during a late cold snap. Lightly fertilize all cool-season lawn grasses (such as fescue and bluegrass). Aerate and dethatch only if absolutely necessary – those tasks are best done in the fall. Begin post emergent weed control. Apply pre-emergent herbicide or corn gluten to prevent crabgrass and other annual weeds. Top-dress lawns and patch bare spots. Lawns will be very soggy, so treat them gently and avoid too much traffic. Test soil pH and add lime (if acidic) or sulfur (if alkaline), following package instructions. Resume your warm-weather watering schedule when grass begins growing. Fertilize and plant warm-season grasses such as St. Augustine and Bermuda. Till your vegetable garden as soon as the soil is dry and crumbly. Add amendments, and let the soil settle for about a week. Grow cool-season vegetables such as spinach, lettuce, broccoli, beets, radishes, peas, and carrots. Plant asparagus, rhubarb, and berries. Start seeds indoors for summer vegetables and annual herbs. Plant perennial herbs such as rosemary, thyme, and lavender. Plant summer vegetables (such as tomatoes, corn, squash, and peppers) outdoors. Plant annual herbs such as basil and cilantro. Remove mulch from strawberry beds. Repot, prune, and feed your houseplants. Address insect or disease problems immediately. Give a little more water to cacti and succulents that are blooming or actively growing. Move houseplants gradually outdoors once night temperatures stay above 55° F.
If you grouped your houseplants in a warm spot for the winter, you can move them back to their places. Care for an Easter lily by keeping it in a cool spot with indirect, bright light. Visit a garden center and take in the breathtaking array of plants. Try something new this year! Clean out, inspect, and repair bird houses, for the spring nesting season. Put out plenty of food for hungry migrating birds! Watch for hummingbirds on their journey north. Observe your garden during the spring thaw and rains. Note and address any drainage problems. Give your yard a good spring cleaning to eliminate hiding places for insects and critters. Add trellises, stakes, and supportive structures to top-heavy plants (such as peonies) before they need them! After the last frost, begin hardening your seedlings by moving them to a sheltered spot outdoors. After the last frost, add aquatic plants to your pond or fountain. Start feeding your pond fish when water temperatures are above 50° F.
Apply mulch. Consider adding an organic weed preventer, such as corn gluten, under your mulch to save work later. Check out irrigation systems once freezing weather has passed. Postpone garden work if the soil is soggy. Spread and incorporate winter compost, and start a spring compost pile. Test soil to determine what amendments are needed. The Four Natures are: hot (热), warm (温), cool (凉), cold (寒) or neutral (平), in terms of temperature. Hot and warm herbs are used to treat cold diseases, while cool and cold herbs are used to treat heat diseases. The Five Flavors, sometimes also translated as Five Tastes, are: acrid/pungent (辛), sweet (甘), bitter (苦), sour (酸), and salty (咸). Substances may also have more than one flavor, or none (i.e., a bland (淡) flavor). Each of the Five Flavors corresponds to one of the zàng organs, which in turn corresponds to one of the Five Phases: A flavor implies certain properties and presumed therapeutic “actions” of a substance: saltiness “drains downward and softens hard masses”;sweetness is “supplementing, harmonizing, and moistening”; pungent substances are thought to induce sweat and act on qi and blood; sourness tends to be astringent (涩) in nature; bitterness “drains heat, purges the bowels, and eliminates dampness”. quickening the Blood and dispelling stasis or blood-quickening or Blood-moving. supplementing or tonifying: this includes qi-supplementing, blood-nourishing, yin-enriching, and yang-fortifying.